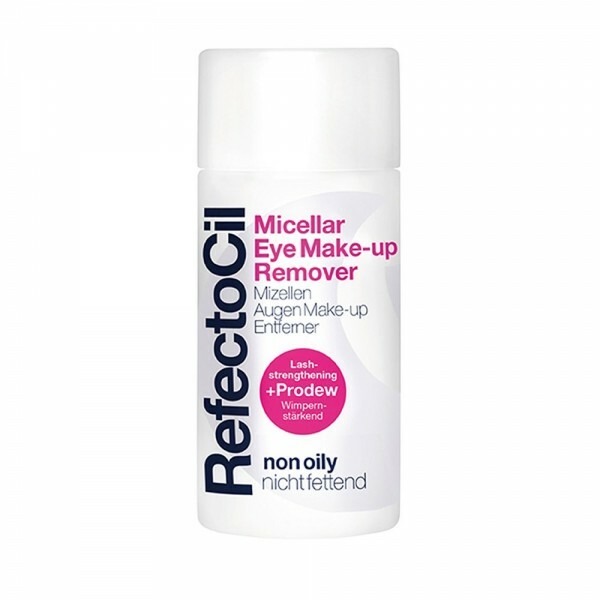 The non-greasy RefectoCil Eye Make-up Remover removes even intensive eye make-up easily, quickly, gently and nourishingly and thus prepares the hair perfectly for the tinting with eyelashes and eyebrows. Today, a complete eye make-up is achieved using many different products (make-up, eye shadow, mascara, eyeliner), it is applied in many layers and is much more durable than a few years ago. Tip: To prepare for the colouring, the customer's hairs must be grease-free and completely cleaned of make-up residues. Only in this way can you achieve an optimal colouring result and a long durability of the colouring. The RefectoCil eye make-up remover perfectly covers these special requirements.